Stu and I are back in India, wahoo!!! 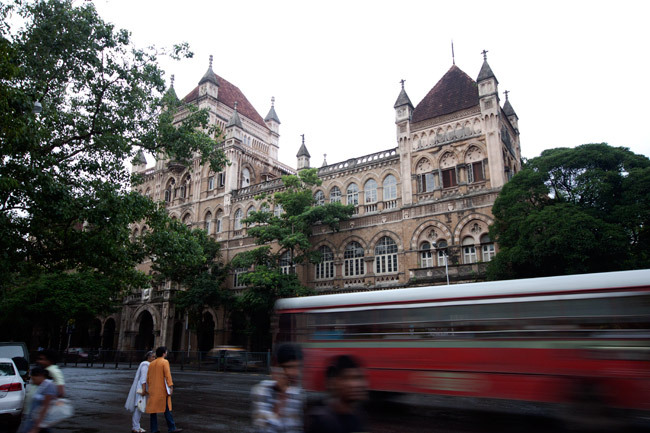 Our first stop, India‘s city of dreams- Mumbai! 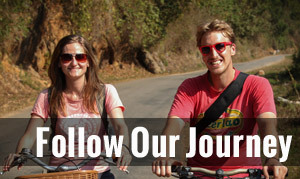 Most backpackers stay in Colaba which is where a lot of Mumbai’s attractions are. 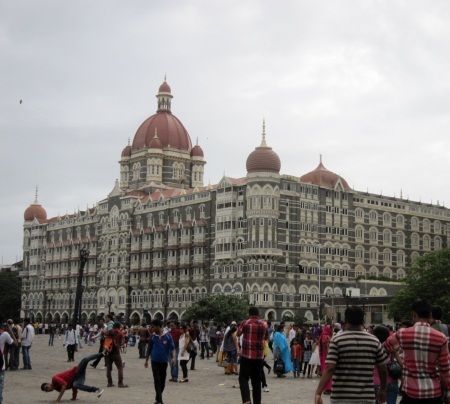 We stayed in a weird hotel called The India Guesthouse. Imagine you’re on a TV set in a big open hall and there’s partition walls lined up to make the rooms, it was like that. We had no ceiling, so you could hear everything that was going on outside the room and it was so bright from everyone else’s light. 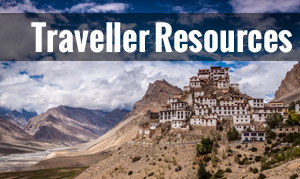 It was very popular with travellers and as we found out, bedbugs! Stu was bitten badly by these hungry blood suckers on our first night there. He awoke with a swollen lip where he had been lying on his front. He looked like he’d been beaten up! Luckily the swelling had gone down a bit by the time we got up. 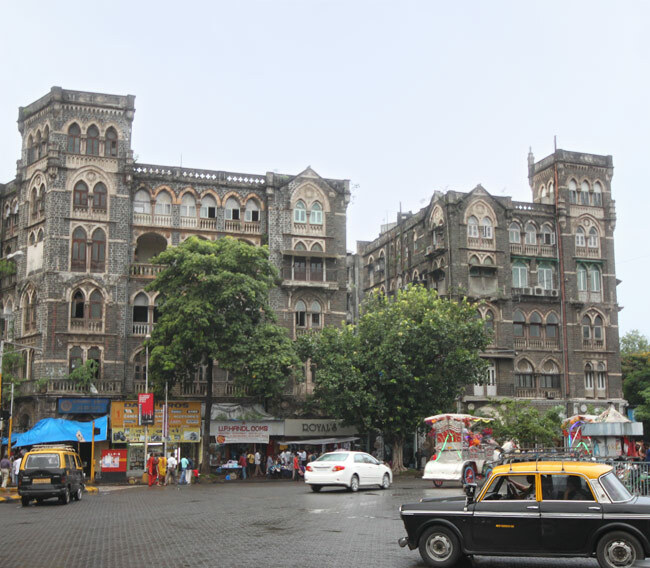 Around the corner from our hotel was a much grander and slightly more elite hotel called, The Taj Mahal Palace. It made worldwide news in November 2008 for being attacked by terrorists. It’s still standing in all it’s glory, but with much higher security now. 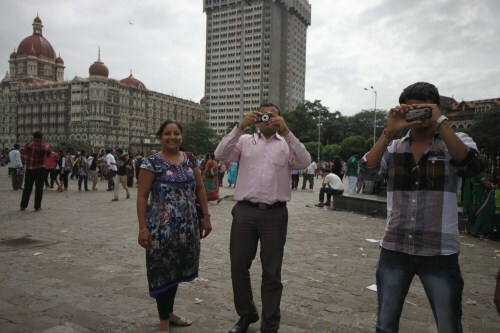 The Gateway to India was a short walk away from our hotel and was very popular with Indian tourists. 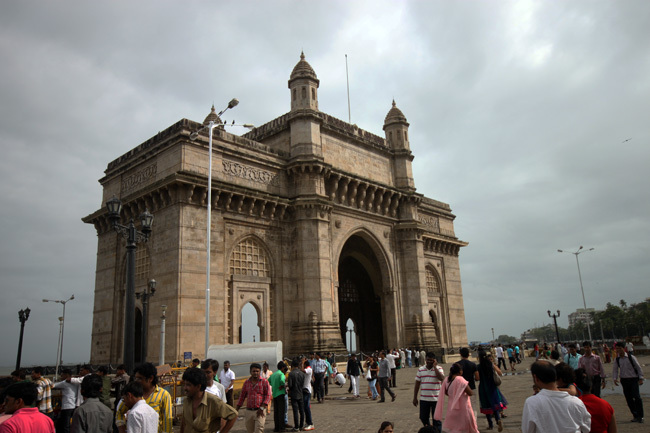 It is a great piece of architecture, designed by the Brits in 1924 and ironically 24 years later the British architects used the arch to sail away from, as India marched towards their independence. 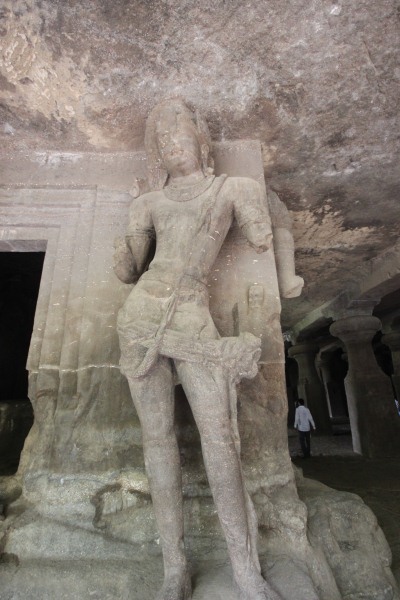 It is free to see and it’s also where you board the ferry to visit Elephanta Island. 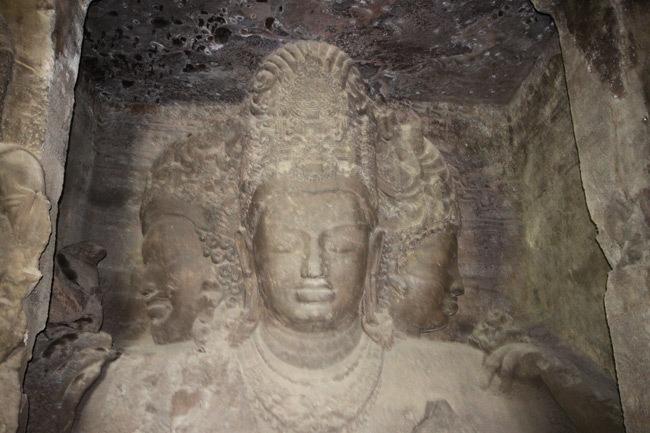 Elephanta Island is in the middle of Mumbai Harbour, 9km northeast of the Gateway of India. 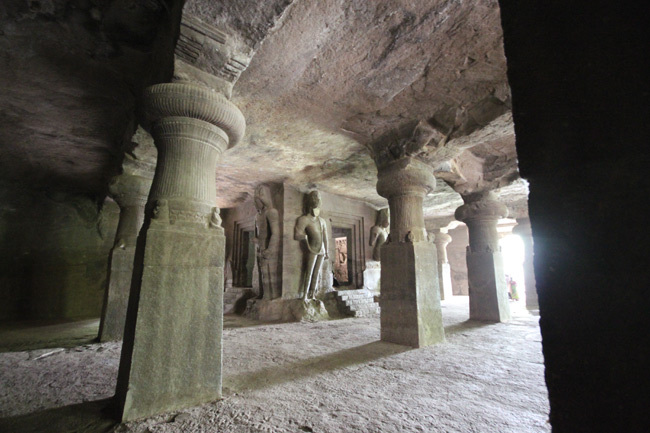 Home to the labyrinth of Hindu cave temples, which is listed as a Unesco World Heritage Site and thought to have been created between AD 450 and 750. The main Shiva dedicated temple is the most impressive of them, featuring a 6m tall statue of Sadhashiva, depicting a three faced Shiva as the destroyer, creator and preserver of the universe. 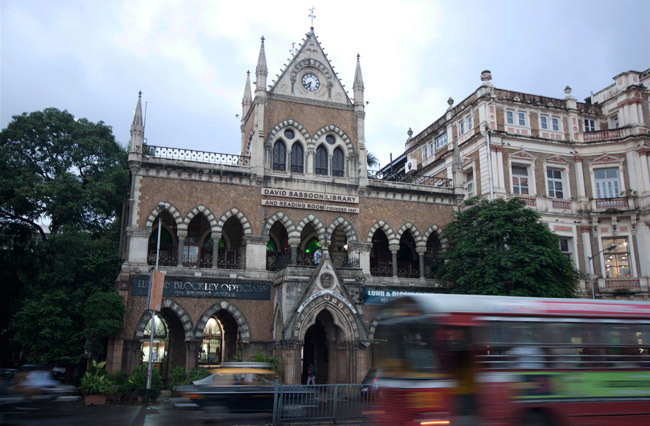 Mumbai is full of interesting architecture in a mixture of styles- Gothic, Victorian, Art Deco and Islamic. 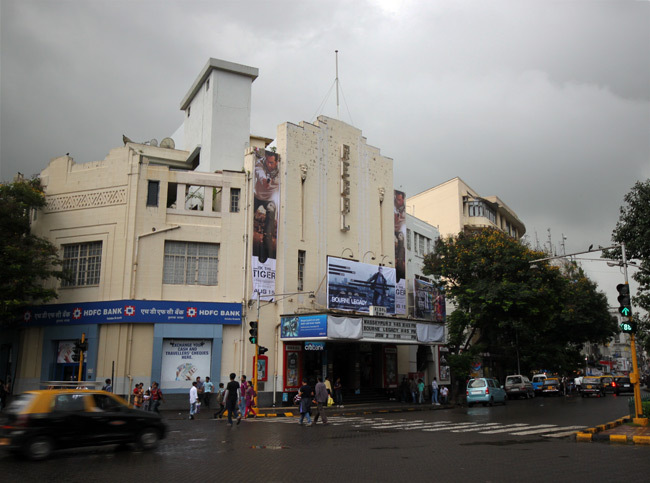 If you’ve ever read the book, Shantaram, you’ll recognise some of the places mentioned in Colaba, like Leopold’s Cafe. We were only in Delhi for a few hours with enough time to do one thing, and being Monday most things were closed in the city. 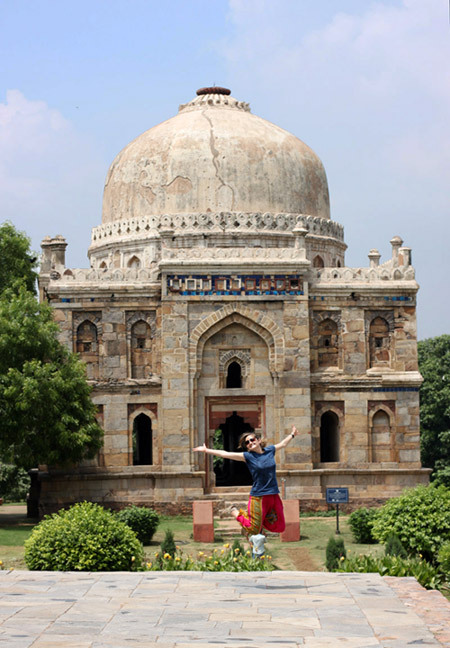 Checking our trusty guidebook for things to do, we decided on Lodi Gardens. With no expectations we found the underground and went through all the usual security checks with separate male and female queues and jumped on the very busy train to Khan Market station. There was quite an upmarket shopping complex with the reliable Indian coffee giant, Cafe Coffee Day. 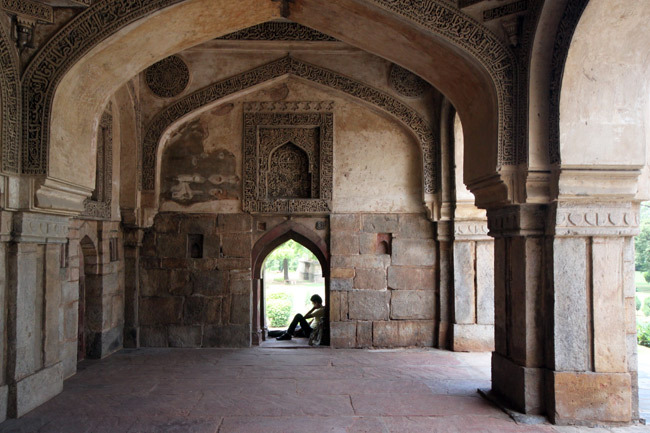 After a strong americano and a quick subway lunch we were back on our way to Lodi Gardens. If anyone’s been to one of India’s parks you’ll know they’re usually full of Indian men sleeping, wild dogs, rubbish and sometimes random sculptures of animals. These gardens however had a lovely bridge at the entrance which went over fairly clean water and led you down to a delightful path though trees and pretty flowers. As we walked amongst squirrels, birds and secret lovers trying to find alone time, we too were enjoying this quiet and serene place in India’s busy bustling capital. It was a lovely sunny and very hot day so we decided to find a place to sit a read for a bit. 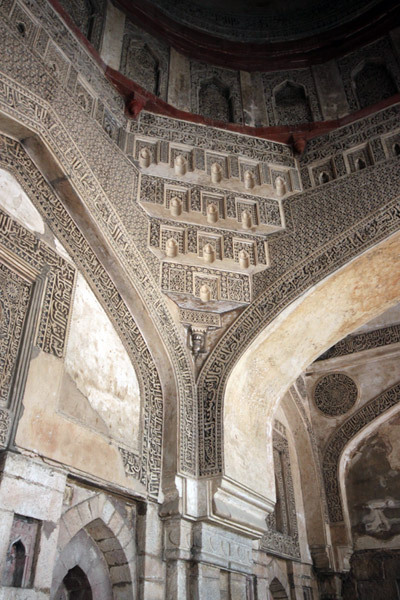 As we turned a corner we found beautiful ruins from the 15th century in the style of the Taj Mahal. 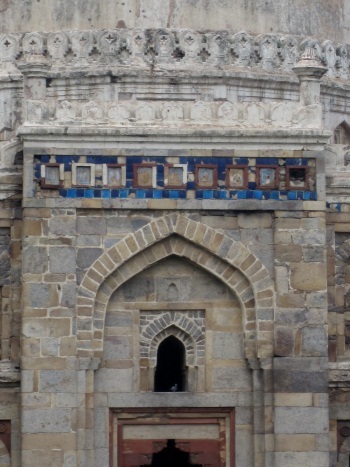 We were in awe of the iconic dome roofs, the intricate Islamic carvings and the hint of blue that could still be seen from old tiles. 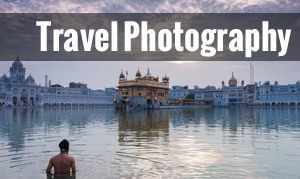 After a pleasant day in Delhi we were back on the train heading for the holiest of Sikh destinations, the town of Amritsar, known for the sacred Golden Temple.